Therapeutic exercise is body movement to maintain a state of well-being. It refers to a range of physical activities to restore and build endurance, flexibility and fitness. Therapeutic exercise is managed by a physical therapist (PT) or chiropractor. Because there are many causes of back pain, it is important for a doctor or health professional to do a thorough history and physical examination to determine the cause for your back pain. Treatment calls for pain relief, reduced activity, steps to reduce inflammation, and measures to restore strength and normal activity. The goal of therapeutic exercise is returning an injured person to a state of normalcy. We at Healthy Spine and Care focus not only on immediate treatment but also on successful long-term recovery from chronic pain. We offer the best spinal treatment in Melbourne and Victoria. If you have got a sports injury, do not worry, our sports physiotherapists have excellence and experience in treating injuries for all athletes of all age-groups. It is a well-known fact that exercise is one of the best ways to get relief from body pain and injuries. In Melbourne, sports physiotherapy by Healthy Spine and Care is preferred as it also provides home visits. 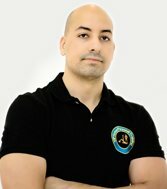 Specialist sports physiotherapy offers everyday ‘evidence based’ techniques which you can apply to help improve the way your body moves and functions. At Healthy Spine and Care Clinic, We are Back pain and Spine specialist in Melbourne along with the wide range of injuries that can affect the muscles and joints. Association (ISSA), the first fitness organization in the U.S.A.